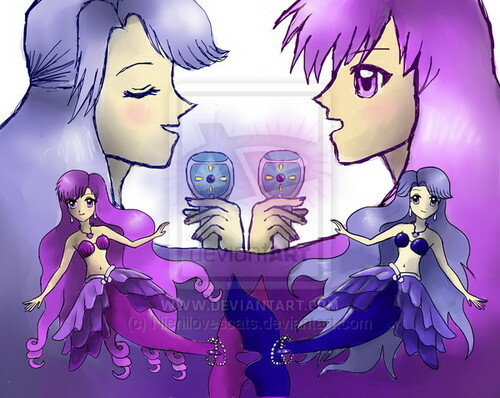 Mermaid melody-sister forever. Karen and noelle <3 please check it out on devaintart!. Wallpaper and background images in the Pichi Pichi Pitch-mermaid melody club tagged: photo mermaidmelody karen noelle mermaid. This Pichi Pichi Pitch-mermaid melody photo might contain stained glass window, anime, comic book, manga, and cartoon.